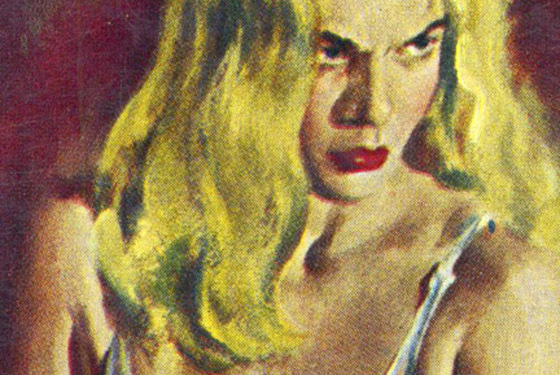 The Hot Spot, also known as Hell Hath No Fury, is just one of the great novels written by Charles Williams, a master of crime and noir fiction. With a brilliant and insightful introduction by Bill Pronzini, this marks the first-ever United States hardcover edition of this classic. The Hot Spot was memorably filmed in the 1990s by Dennis Hopper. Tastefully designed, this is the definitive edition of this book, now available, for the first time ever, in a handsome hardcover edition. The book is quarterbound in Japanese cloth with a printed image on the front panel. Over 6 × 9 inches, three-piece Japanese cloth construction, ribbon marker, patterned endsheets and a beautiful design. Limited to 200 copies, each signed by Bill Pronzini and Joe Servello. The original paperback cover art, reprinted in full color. New artwork from Joe Servello.